The right food plays an important role in your pets health. To be sure your pets are getting the nutrition they need, ask our veterinarians about our prescription diets. 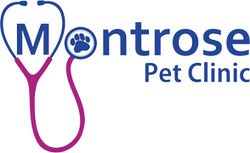 If your pet is overweight, underweight, experiencing urinary health problems or intestinal upset, we will find the right diet for your pet! We carry every major prescription diet! Royal Canin uses science and research to gain the best understanding of your pets nutritional needs. They supply food for all life stages and everything in between. Nutrition is about the right balance of nutrients. Hill's products are designed to meet all your pet's needs at every stage of life. Purina diets are formulated with your pet in mind. Each diet offers benefits that will provide your pet with the nutrition they need. Rayne uses whole foods to best meet your pets nutritional needs.